“當我們對研究愈來愈有興趣之際, 黑格爾看到了一個’逐漸黑暗中的世界’, 研究是一種經營化, 有計劃, 有系統的作業, 卻犧牲了洞察力與瞭解力, 我們放棄了’存在’牧者的角色. 康會說我們是因為關心可度量的事物, 而疏忽了’道’; 老子也會說我們是因為關心萬物, 而疏忽了’道’. 黑格爾則看到我們放棄天職引發的兩種可怕後果, 一是’存在’ 本身以經變成尼采所說的’一種陰霾’, 因為我們的疏忽而受創, 而我們也不再感受到它的存在;二是我們迷失了自己, 徘徊在被物質世界無數瑣事所淹沒的生活中, 我們不知道凌架於那個世界以外的意義, 也不知道在一個更高層次中的世界中, 我們的地位是什麼"
瘋狂奔向量化的世界, 是我這幾年來的感覺, 對於可度量的事物, 整個人類社會產生了無比的狂熱, 路康所稱的不可度量的, 存在的, 先於形的道, 近年來逐漸在消失當中, “詩"終究會變成一個疆屍詞句, 不具有任何實質意義, “詩意" 也成了廣告用詞, 除此之外, 人類無法想像過去的人如何宣稱 “詩"所具有的實質意義. 這世界要如何從量化的, 管理的大夢中醒來, 如何耐心等待一個詩人的開花, 看來並沒有立即的答案, 是否人生必須變得更難以忍受, 量化的陰霾必須濃到無法呼吸的荒謬程度, 人類才有可能想起失去詩意是多麼大的代價. 過去我們在設計一個物件時, 常常會在心中有一個大概的草圖, 用來引導我們慢慢將心中理想的設計實現出來. 現在如果將設計物換成互動的運算物件 (computational artifacts), 一句或數句表達式 (expression), 會比一開始就使用草圖來得適當, 尤其是希望能將設計範疇變得更開闊的互動設計當中. “The expression of a computational thing depends on the execution of programs. Interacting with computational things means that we give values to program variables and initiate execution of programs in various manners. Time is a central form element for a computational thing in the same sense as time is a central form element in music. The picture of computational thing as something displaying the execution of programs leads us to focus on expressiveness where time is a central form element. " 運算物件的設計與其它設計的不同, 在上列的陳述中已經指出: 運算物件必須依賴程式的執行, 如果我們重新描述使用者如何與運算物件互動, 可能得到以下的陳述: “使用者以各種方式設定程式的參數並且啟動執行". 跟音樂相似的是, 運算物件也是以時間為重要的元素. 因此, 以時間為核心的元素, 運算物件能夠展示出程式執行結果. ”We can also describe a computational doorbell as a thing that displays the execution of a certain program everywhere inside of a compartment or a house as it is initiated outside a given door." 這個表達式先略過功能細節與使用方式, 將一個可能的數位門鈴表達出來：”從門外被啟動後, 這個設計物能夠在屋內的任何地方展示某個特定程式的執行結果". 在上述的句子裡, 保持更大的空間與彈性, 因此非常可能設計出一個和傳統門鈴差異很多的產品. 其中, 在門外如何啟動 (不再局限於按下門鈴), 按鈕, 感測器, 手機, 等等 是可能的選項, 屋內的何處, 執行何種運算, 最後展示在什麼媒體上, 都是開放的, 等待設計的. 換句話說, 數位門鈴可能不再具有傳統門鈴的形式, 而將展示結果部份轉化成手機上的鈴聲, 屋內重要光源改變, 風扇啟動, 電腦上的 msn 訊息…. 如果再更進一步開展, 設計師應該說出更大範疇的表達式, 例如, “當我接近某人住家時, 能啟動讓屋內任何地方展示特定運算成果, 並且等待屋主啟動另一個運算"
以上兩種方法, 在不同的設計階段, 各有不同的作用, 但設計師應該要避免在一開始就陷入精確定義功能, 才不會拿新的技術實現一個舊模式的產品設計. Lars Hallnas and Johan Redstrom, “From Use to Presence: On the Expressions and Aesthetics of Everyday Computational Things", ACM TOCHI, Vol. 9, No. 2, June 2002, pp. 106-124. 在漫漫的 paper 大海裡, 一個人的有限時間實在難以窮盡所有感興趣的 paper, 加上每年不斷更新出版的各式會議論文, 期刊論文, 常常讓研究生感嘆: paper 幽長, 良夜苦短. 偶而遇到某大的一些高才生, 又常常聽到"某某 paper 真是經典, 你看過吧!? "之類的話, 雖然心裡很不情願地 OS 一些 圈圈叉叉, 但也只有打起精神強顏歡笑一翻. 然而這一切, 如果偶而讓你碰到一篇以 Taxonomy 為名的論文, 所有的無力感便瞬間消失, 好像挖到藏寶圖, 就算沒有親自去挖寶, 也會對這篇那篇 paper 談什麼, 處在什麼地位角色一目了然. Taxonomy 一詞, 跟據 wikipedia 的說法, 就是一種分類的科學與技術. 某一項研究領域成熟多元到一定的程度之後, 便會有學者試著去做分類的工作, 因此 taxonomy 的 paper 大部份是後見之明, 然而這個後見之明並非陳嗆濫調或拾人牙彗, 反過來說, 作者往往需要發揮極大的創意, 將所見的作品分類, 在過程中為讀者帶來超越當代的洞見, 或者發人之所未發, 言人之所未言. 大體來說, 敢挑戰 taxonomy 的作者, 都在該領域閱讀過大量文獻, 並採用合理的分類工具, 與極具遠見的觀點, 切入整個領域, 並預見未來的研究潛能. 因此, 拿到一篇以 taxonomy 為題的 paper 是值得慶幸的, 表示你可以很快就完全掌握這個領域的各種面向, 但反過來說, 也不用高興太早, 這樣一篇 paper 暗示著這個領域已經有大量的研究, 這也意味著要突破前人有一定的困難度. 以下是幾篇關於互動, 混合實境等等的 taxonomy 論文, 有的論文也還會再提到 design pattern, 對於學習互動設計來講, 有莫大的助益. Paul Milgram and Fumio Kishino, IEICE Transactions on Information Systems, Vol. E77-D, No. 12, December, 1994. Milgram 的這張圖可以說是經典中的經典, 他將虛擬與真實環境放在一個軸的兩端, 其中過渡而連續的部份則定義為混合實境, 並且定出 augmented reality 與 augmented virtuality 的典型意義. 瞭解這張圖, 對於掌握混合實境的設計, 有相當大的幫助. milgram 當年努力定出 mixed reality visual displays 的分類, 雖然細節不見得被大家採用, 但這張 viurtuality continuum 的圖卻是歷久不衰. AVI’06 年的paper “Mixed Reality: a Model of Mixed Interaction“, 則延續了 Milgram 的想法, 進一步分析 mixed reality 在互動設計上的種種面向. Kenneth P. Fishkin, Personal and Ubiquitous Computing, 8:347-358, 2004. Fishkin 在這篇 paper 裡示範了典型的 taxonomy 的寫法, 參考文獻就高達 72 篇, 如果以一篇參考論文是一個作品的話, 整篇 paper 至少 review 了60件以上的作品, 此外, 模糊而難以捉摸 tangible interfaces, 也許連 tangible media 的發起人 Hiroshi Ishii 都無法講出很精確的定義, Paul Dourish 經典之作 ”Where the action is"雖然論述了 embodied interaction, 但是, 離真正的實用分類來說, 還是有段距離. Fishkin 的創舉有二. 第一, 他將 Ishii 的 tangible interface 清楚地分成兩個軸向: embodiment 與 metaphor, 第二, 模糊而難以說明的 embodiement 被具體化成四種等級 (full, nearby, environmental, distant), metaphor 則被具體化成五種類型(none, noun, verb, noun+verb, full). 透過Fishkin 的分類, 讀者不僅對於現存的 tangible interface 有一個全貌的瞭解, 並且在未來設計新的界面時有一個相當清晰的 design space, 架構在 embodiment 與 metaphor 之上. Zachary Pousman and John Stasko. International Working Conference on Advanced Visual Interfaces. Venezia, Italy. 23-26 May 2006. Ambient Design 在 Mark Weiser 提出 “Design Calm Technology" 之後, 一直是設計界在設計 ubi-comp 物件時最衷愛的特色之一, 作者觀察了 19 個 ambient information display systems, 跟據四個向度分析每一件作品: information capacity(資訊容量), notification level(警示程度), representation fidelity(再現精確度), aesthetic emphasis(美學強度). 例如 ambient orb 就是美學強度相對來說較高, 而其它三個面向偏低的一項設計. 這四個向度足以提供設計者在發想新概念時, 做出設計決策. 此外, 作者更進一步提出此類 ambient display 的四種設計樣版 (design pattern): symbolic sculptural display, multiple-information consolidator, information monitor display, high throughput textual display. Julian Bleecker, Leonardo online, Vol. 14, Issue 03, 2006.
locative media 到目前為止, 還屬於新興起的一項研究領域, Bleecker 教授試圖從一些觀察到的 locative media 系統中整理出條理來, 但可惜的是, 並未成功地分析出令人折服的一些設計向度. 但我們佩服 Bleecker 教授早早就看出 locative media 需要有一份 taxonomy 的整理工作, 也感謝他提供了許多實例, 或許能啟發後人繼續完成 locative media 的 taxonomy 分類. 例如 Yellow Arrow Project 就是一個將黃色箭頭貼紙張貼在實體空間, 並拍下照片上網說故事的方式, 讓人們重新探索都市空間. 諸如此類的有趣的 locative media, 在這篇 paper 中相當多. 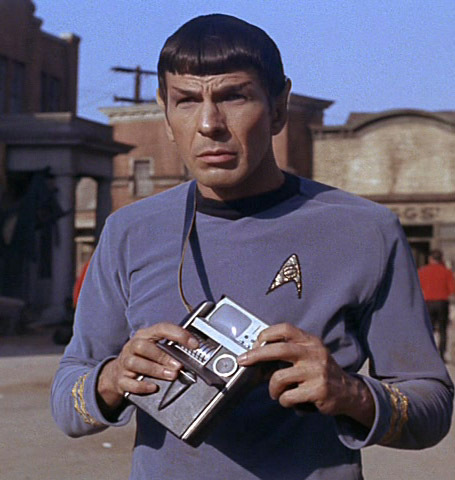 例如 Star Trek 中的 Mr. Spock 所使用的設備, 就是一種 Tricorder 的設計典型, 凡是配戴一項設備, 在不同地點能夠接收到不同的訊息, 就可以歸類為 Tricorder 類, 跟後來行動運算中大量的 LBS (location based service) 有異曲同工之妙. Lamantia 仔細觀察了一些 AR 的應用, 包含從科幻電影裡找出原型, 將一些常用的設計樣版分類好, 雖然還稱不上 taxonomy, 但整體上, 已經為互動設計師指引一條 AR 方向的路. Rob Tannen, Designing for Humans, Aug. 24, 2009. 作者提出了一些想法, 作為建立 physical interaction 分類學的開端, 但沒有實際完成分類. 與 Aram Bartholl 類似趣味的 avatar machine, 是 Marc Owens 的一項計劃. 作者為了找出互動設計的 pattern, 參考了建築設計中 Alexander 在 1977 年的著作: “A pattern Language: Towns, Buildings, Construction." 並且以此為基礎, 比較了 1995 年 Gamma 等人所提出的軟體研發的 pattern 法, 以及 1998 年 Tidwell 所提出的 user interface design patterns. 書中作者很有創意地將藍調音樂 (blues) 也用 patter 分析法建構, 然後再類比到 HCI 的 pattern 方法, 並舉出作者所參與設計的 WorldBeat 互動音樂裝置, 所採用的 design pattern. 對於學習互動設計的學子而言, 本書展現了一個非常有創意的跨領域類比與連結的過程. Casaday  suggests applying the idea of pattern-based design to the creation of usable interactive system. He argues that patterns in a broader sense can be found in architecture, organizational behaviour (archetypes), history of science (paradigms), military theory, studies of mythology (archetypes), and even basic text writing (templates). 作者引用　Casaday 的想法, 認為原型（archetype), 典範 (paradigm), 軍事理論 (兵法), 神話原型 (archetype) 以及 範本(template) 都應該被視為 pattern-based design, 讀此令筆者爵士梁本人大為興奮, 原來這麼多領域都使用 pattern 來作為創作的方法. 因此, 更迫不及待想一窺作者如何解析藍調與爵士音樂的 pattern. 然而, 有點令我失望, 或者說, 是對於 blues pattern 的理解很難讓我同意作者的分析. 作者很嚴謹地指出 11 條 pattern, 例如藍調五聲音, 十二小節行進, 樂器配置等等, 這些我可以同意是 pattern, 但至於什麼時候用六度音, 七度音, 以及使用導音, 這些我覺得比較像經驗法則 (heuristics) 或者常識 (commonsense), walking bass 以及即興如何走, 這些對學音樂的人都有明確的 pattern 可以學習, 但作者似乎將原則 (principle) 以及 規則 (rule) 完全等同於 pattern 了. 我心目中的 pattern 必須要有實際可以操作練習的實例, 例如藍調多里安(Dorian)音階, 就是把十二個調號的藍調多里安音階確實寫在譜上並且練至純熟, 即興演奏中自然可以用出這些 pattern, 但是分析多里安音階的組成及原理而不實際演練, 我認為是一種規則的研究, 無法讓演奏者使用 pattern-based 法來即興演出. 至於作者分析 HCI 的 pattern 部份, 因為 interaction design 更為抽象, 感覺作者已經用很廣泛的定義來使用 pattern 這個字, 其中可能包括許多 heuristics, rules, commonsense, principle, strategy, method,…等等. 以太極拳來說, 練了 108 式, 13 勢, 以及總括一句 “陰陽", 這些不同層次的說法, 是不能混在一起的,例如, 我練了一個"陰"再加上　107 式, 好像說一支香蕉加三個蘋果等於四個蓮霧這般荒謬. 如果太極的　108 式是 patterns, 那麼陰陽兩儀就絕對不能叫作 pattern, 勉強來說, 可以說是 principle, 因為者兩儀也滲透到所有的 pattern 裡面. 光看到這篇論文的題目, 就相當令人期待, 作者意圖將譬喻法具體化為設計工具. 筆者充滿期待地看完整篇論文, 將心得整理如下. 作者 Alan Blackwell 採取一種論述(discourse)的方法來介紹 metaphor, 以及逐步整理出他心中所認為的設計者應該如何使用譬域, 所以讀者如果想一眼看出作者所謂的具體化方法, 可能會失望. 作者花了近 34 頁的篇幅來完整地論述古今中外各種領域各個學者所談論過的 metaphor 的概念, (其實有點像濃縮版的 “metaphor and thought", 一本搜集各家之言的 metaphor 鉅作), 一直到論文最後一段, 作者還是抓住論述這個方向, 大量地引用前人的的說法來佐證自己的想法, 對於看慣了HCI paper 的人而言, 這篇 paper 倒是很接近社會學論述的風格. 即使如此,這篇被收錄在 ACM Transactions on Computer-Human Interaction 2006 的論文, 還是有發人深醒的一面, 常常讀著讀著, 就有新的體會, 這點我想是論述無論如何都不會被科技型的 paper 所取代的. 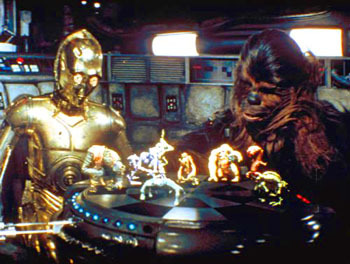 The simplified metaphor of “metaphor" in HCI stands for a complex aggregate of design concepts borrowed from technical literature in cognitive science, education, philosophy, and the design of computer displays and control interfaces. 作者認為, metaphor 在設計中, 是透過向各個領域借用而來的, 這點其實在設計界是常有的事, 人誌學, 田野調查等等也都常被借用. 也因此作者展開了一段大範圍的定義 metaphor 的文字, 從亞里斯多德到尼采, …當然, 著名的 Microsoft BOB 以及它的難兄難弟 Magic Cap 也被提出檢討一翻. …They described the “desktop" depicted on the screen as if it were an actual 3-D space (despite the commercial failure of systems such as Bob and Magic Cap that did this literally, and the lack of proof that 3-D metaphor prototypes provide measurable benefits. 2. 3D metaphor 目前尚未被證明有任何優點, 也就是說, 更擬真, 更接近 metaphor 的字面原意的設計方式, 並不見得比較好. 這兩點, 我想有一個小的總結, 套用 metaphor 的方式, 並不像一般 HCI 人所認為的那樣, 越像,越擬真,越有前後一致性越好, desktop metaphor 之所以歷久不衰, 並不是它很擬真, 而是它很寬鬆, 只是暗示一種思維, 基本上, 使用者不會被勉強套入一個僵硬的想法當中. 設計所使用的 metaphor, 作者認為是一套視覺元素, 並且反對將它視為一套系統化的認知結構. 筆者認為, metaphor 必須活用, 一種類似混搭的風格, 要避免追求單一的, 一致的, 系統化的 metaphor. 這種系統化的單一 metaphor 使用到極致, 就會像設計一份"說明書", 別忘了, 科學家在解釋化學或物理現象時, 就是在使用 metaphor, 化學老師用圓球插在牙籤上, 跟大家解釋分子結構的時候, 就已經是在使用譬喻法, 而非事實真象是"牙籤加圓球". Metaphor 的混搭用法, 在文學寫作上最常見到, 作家往往在幾個句子之間, 就已經混搭了好幾種譬喻說法, 讓讀者讀來津津有味, 讚嘆文采華麗. 如果說, metaphor 是一種敘事手法 (narrative skill), 那麼沒有任何一個文學作品是重覆單一譬喻直到結尾的. 筆者據此認為, metaphor 的使用是一種進行中的, 動態的, 隨時代褪色或改變的, 比較像 “流行" 而非靜態的真理. …, it seemed that the most successful metaphors were not necessarily the product of a systematic design process, but rather a single discovery……. from Lakoff and Johnson’s cognitive semantics, which argues that any human understanding of abstractions, whether computational or in other domains, will be based on embodied metaphorical images. However, this universal semantic principle would apply to all UIs, whether or not the designer intended them to be “metaphorical." Furthermore, the designer is just as much an embodied thinker as the user, so there is no perspective from which any design could be nonmetaphorical. From this perspective, the best advice to a designer would be to follow his or her common sense, as it is common sense rather than analytic theory that will correspond most closely to the user’s own natural understanding. 此段文字, 可謂真相大白, 雖然 common sense 被認為是 dead metaphor, 亦即褪去魔力的譬喻, 是一種被大眾所接受與應用在日常生活用語中的習慣性說法, 例如時間即金錢, 已經變成一種常識, 通常代表一種共識, 不言自明的事實, 但是, 論文作者認為, 對設計者最好的建議可能是, 跟隨他或者她自己的常識 (common sense), 因為 Lakoff 與 Johnson 主張人類任何領域都是建構於體現的譬喻意象 (embodied metaphorical images), 就算是設計師, 也無法據稱任何一種設計是"非譬喻性的" (nonmetaphorical). 真正能反映使用者的自然認知的, 是常識而非理論化的分析, 因此, 設計者擁有優秀的常識與直覺, 往往是設計能否成功的關鍵. 筆者於此僅能提出, 設計者不管有沒有意識到, 譬喻的使用是一直在進行的, 也許有相當多優秀的設計天才, 天生就能夠毫無困難地使用譬喻, 但是學會對譬喻覺知, 學會評價譬喻的優劣卻是一個設計師養成的過程中, 非常重要的工作. 作者雖然一言以蔽之, 常識 (common sense) 是設計者最重要的能力, 但這種能力卻是來自識別各種譬喻多年之後所養成的功力, 斷非一般所謂常識豐富的閱報大眾所能短期養成的. Creative metaphor may continue to be a useful generative tool for the designer, but an even more significant change would be to recognize its value as a creative experience for the user, as noted in recent work by Pirhonen….In my own research I have therefore shifted my focus to breaking, rather than making, interactive paradigms.